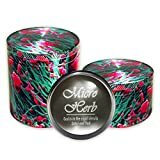 Home / Home & Kitchen / HERB UNDER MICROSCOPE EXTERIOR – Large Herb Grinder. 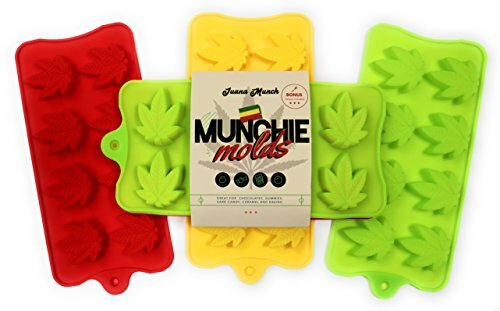 Herb Grinders. 4-piece 2.5×1.75 inch. 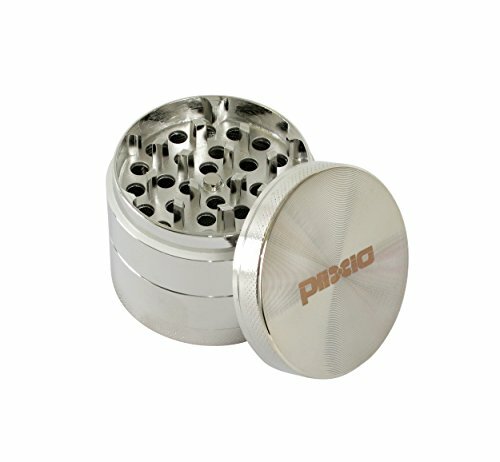 INTRODUCING THE BEST AND COOLEST DESIGN HERB GRINDER, IN AFFORDABLE PRICE: LARGE PREMIUM HERB CRUSHER. 4 pieces. D: 2.5″ – The most practical diameter. H: 1.75″, Adjustable to POCKET SIZE. 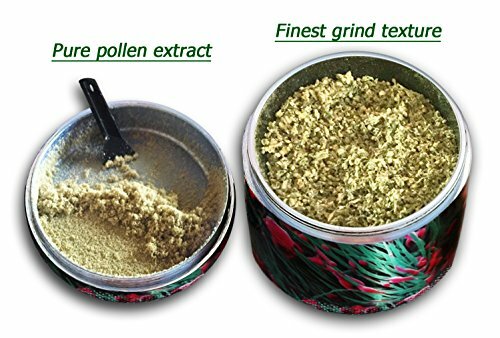 MILLION TIMES MAGNIFIED HERB ON GRINDER’S EXTERIOR – Get a buzz just by looking at it! WORLDWIDE LEADING QUALITY STANDARD ISO 9001, including: AEROSPACE ALUMINUM – Extremely durable and yet light as a feather. AUTOMOBILE GRADE EXTERIOR – maximum protection from abrasion & scratches. CNC THREAD MICRO PRECISION for smooth & silent operation. POWER NEODYMIUM MAGNETS for seamless incredible closure, enhanced by anti-friction silicon gasket. 59 SHARP DIAMOND SHAPED TEETH to produce easily the finest grind texture. WASHABLE STAINLESS MICRO POLLEN SCREEN filtering pure pollen extract. TREAT YOUR HERB LIKE A PRO OR DON’T DO IT AT ALL! MICRO-HERB – Grinder for Life. The Cool Life! The Ultimate Large Grinder – d:2.5″ h:1.75″, The optimal size, convertible to pocket mode. Inspiring Design: Million times magnified herb on grinder’s exterior + badass inscription on the bottom (Check out image). Cewl Bonus – Smell Proof Bag. Hitting the road? put your herb in the smell proof bag. Even a bloodhound won’t guess what’s inside. Aerospace Aluminum To ensure long lasting reliable dent-free use. CNC Thread Micro Precision for easy, silent squeak-free operation. Power Magnets to ensure firm closure. 59 Sharp Diamond Shaped Teeth – Easily make exact, fresh, fluffy, aromatic grind. Always. 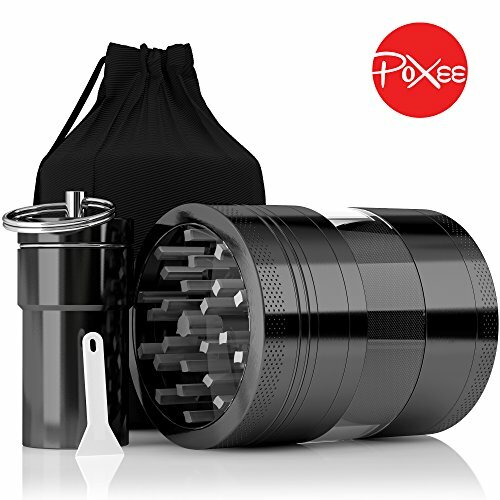 Washable Stainless Micro Pollen Screen – Enjoy pure and rust-free grind. Scraper – Collect the pollen with no waste of finger touch. Automobile Grade Exterior Print – To protect your beautiful piece of art from abrasion chips & scratches. covered by 5-year warranty, to ensure your satisfaction for years ahead. Click Add to Cart at the top of this page and cheer yourself and your precious ones with 6-star grinder! 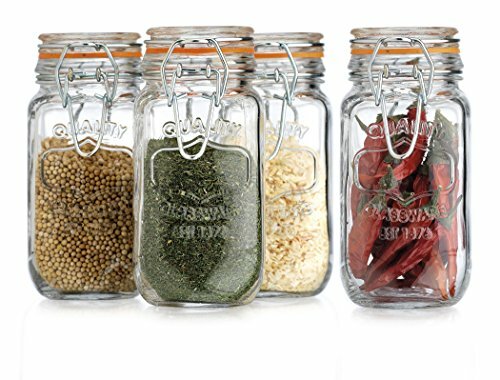 CEWL BONUS – SMELL PROOF BAG – to keep the aroma and freshness at their best. 5 YEAR WARRANTY plus 30 DAYS MONEY BACK GUARANTEE.